After 2 days of long drives ( 1250 kms ) it was time to do short distances now on at relaxed pace and exploration of the amazing beauty around. 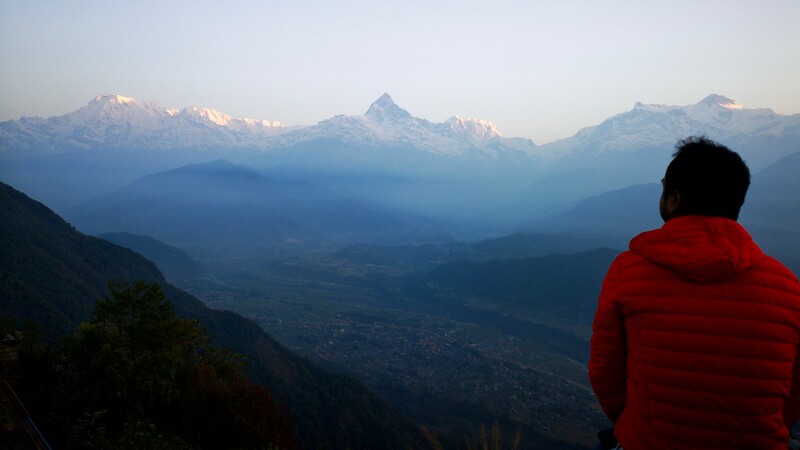 Our plan for the day was to get the permits ( ACAP – Annapurna Conservation Area Permit and TIMS – Trekker Information Management System). 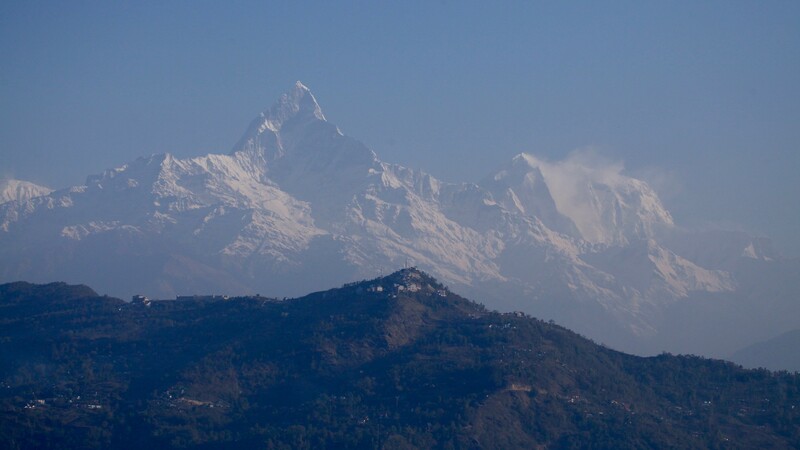 For visiting Kathmandu and Pokhara and Terai region no permits are required. But if you want to explore the higher areas inside the conservation area, these are necessary. We woke up early in order to catch the sunrise. 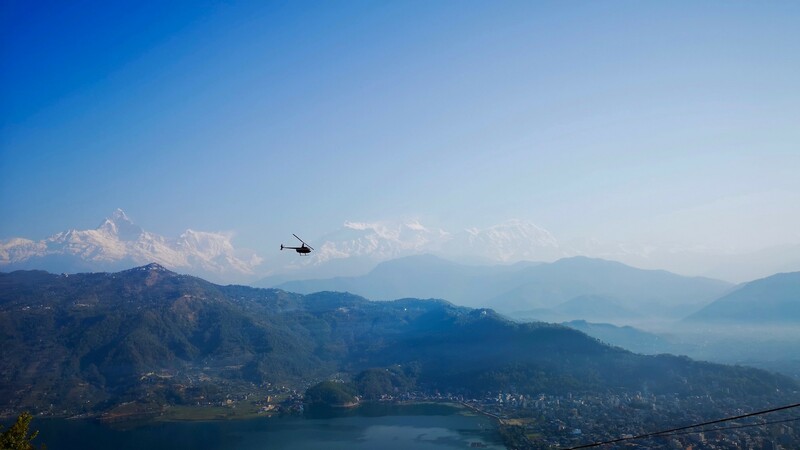 We planned to visit the World Peace Pagoda which is south of Phewa Lake, Pokhara and provides a birds eye view of the lake, Pokhara town, Sarangot and the Himalayan range. People generally visit Sarangot for sunrise, but we were staying there at night and hence the pagoda plan. The views are amazing from Pagoda. There is a good road all the way till the parking of the Pagoda. From there you need to climb few steps and reach the temple. Further up from Pagoda, there views are even better. 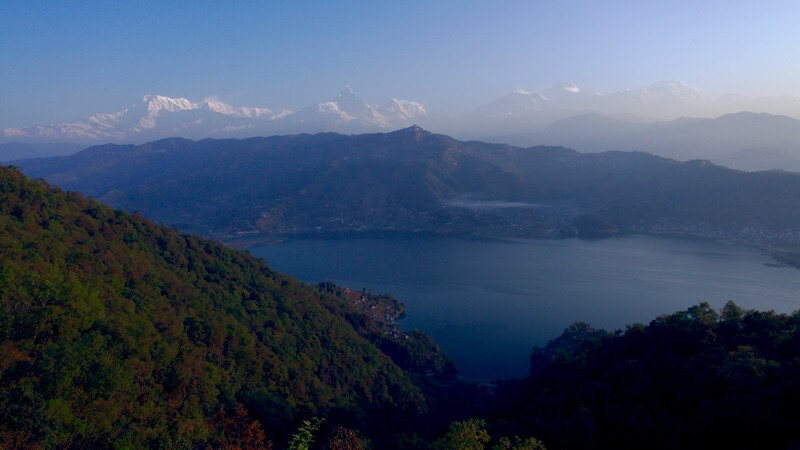 While going from Pokhara, there is a short cut off road till the Pagoda but not worth taking it. Google maps may guide you through the bad road and ask if you see a bad road. After breakfast we spent the morning getting our permits. Then we started for Sarangot after a good lunch by the lakeside. Sarangot is just 10 kms by road and actually only 3-4 kms as the crow flies. However the main road was closed due to construction and we had to take a long detour and finally reached Sarangot late in the evening. We stayed at Sarangot – Hotel Mountain Garden who provided us room at NPR 1200. The views are good and this is close to the view point and also there are views from room towards north. We definitely recommend staying a night in Sarangot and enjoy both the amazing sunset and sunrise from there. The sunrise from Sarangot is brilliant. It took only 10 minutes to reach the view point and it gets quite busy by the sunrise. 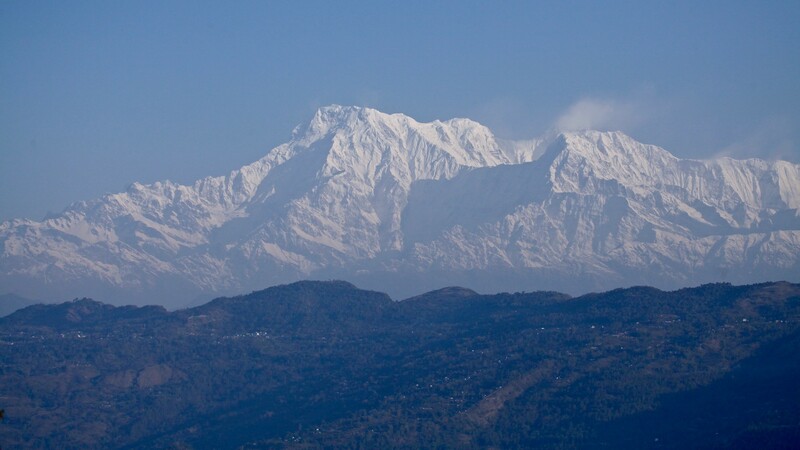 You can see from Dhaulagiri in far west to Manaslu in the east while Annapurna Himalaya is huge and amazing just in front. After breakfast we started our drive towards Muktinath. Our intention was to reach Kalopani but we will see where we can reach. From Sanrangot the road till Beni is in bad shape. The road is broken and muddy and some sections with lots of dust. On the way we stopped at Kusuma, the main district town towards Beni. 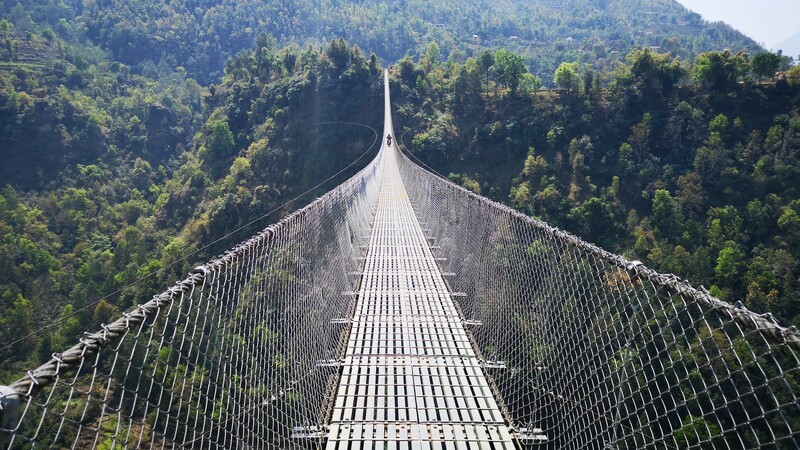 Here are 3 hanging cable bridges which are among the deepest in the region. We reached Beni at 1:30 PM and then stopped for lunch. 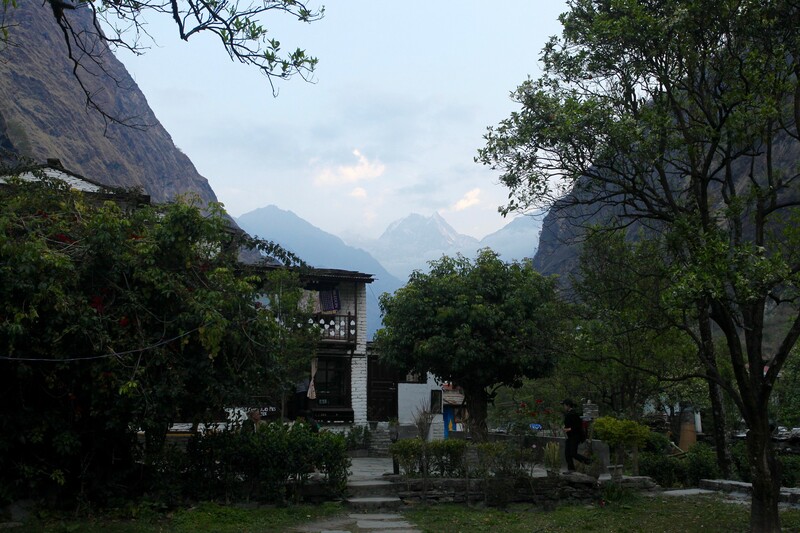 The place is very busy with tourist – pilgrims from Nepal and India visiting Muktinath. 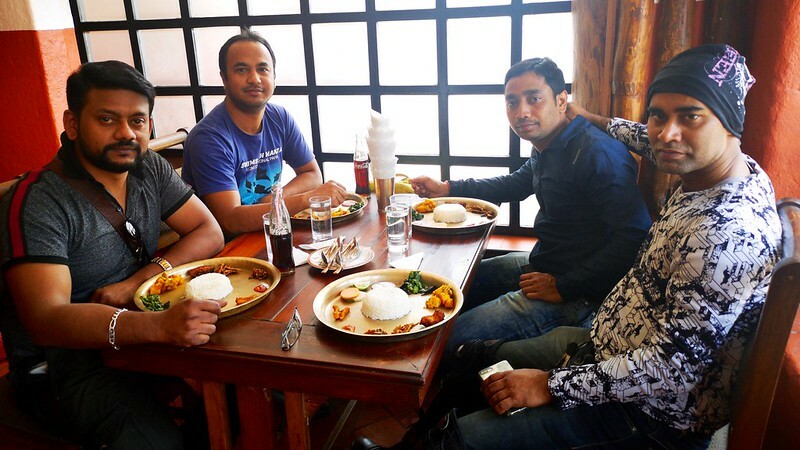 We had a good lunch and packed water bottles as it is going to get costly from now on. 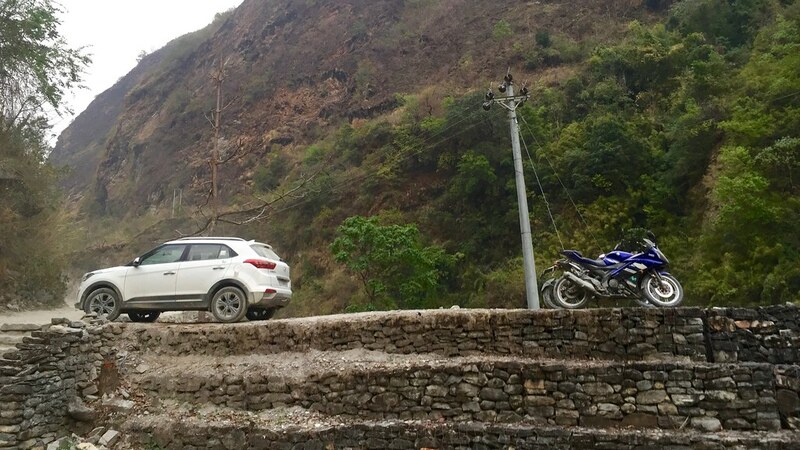 Soon after leaving Beni, we hit the first road block between Beni and Tatopani. The block in the afternoon starts from 2:30 PM to 5:30 PM. So we managed to reach Tatopani by 6 PM and decided to stay the night there. The road between Beni to Tatopani is very bad – read no roads. Expect speed of 10-15 kmph and actually there is no rush. Enjoy the beauty around drive slowly. Some sections are narrow and are good for one car only. Expect lots of dust and near zero visibility when a car crosses you. 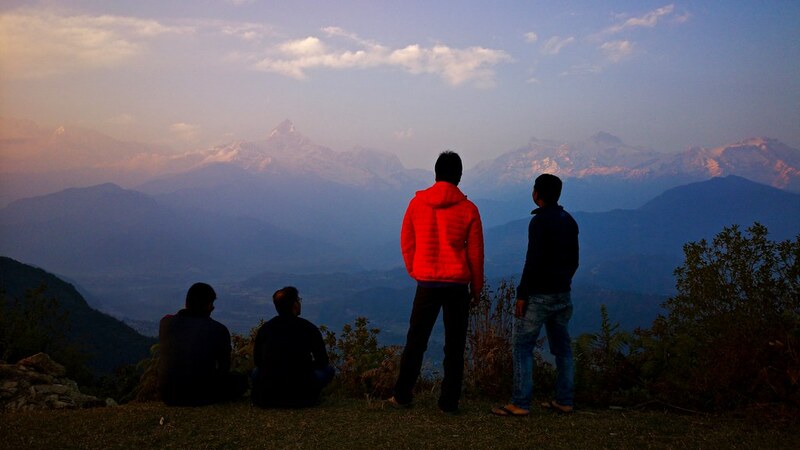 We read good reviews of Dhaulagiri Lodge and decided to stay there. It is just above the hot spring and we parked the car and bike near the springs. The lodge itself is very pretty with nice garden of orange trees. This is a very busy lodge and being famous, do not expect great hospitality. The food is good though. If we get a chance we will stay at some other places rather than the arrogant hosts of the beautiful lodge. 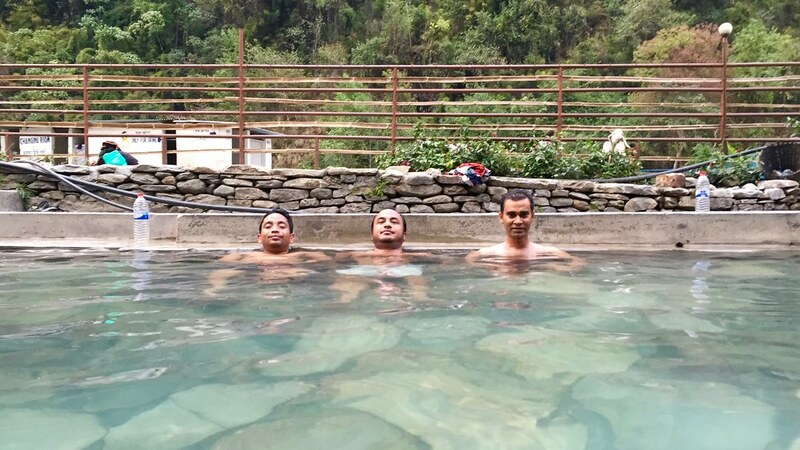 It was a long day with mixed experience but the end with the hot dip in the springs of Tatopani was fantastic.